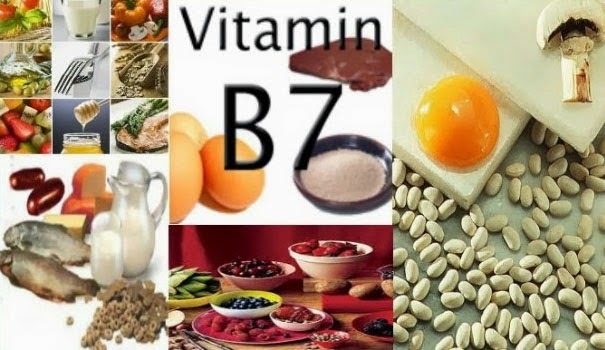 Vitamin B7 is also commonly known as biotin or as vitamin H. It is one of the eight water soluble vitamins that are a part of the Group B complex. Like the rest of the B vitamins, biotin helps energy metabolism, enzyme function, skin related health and nervous system health. The body only maintains small storage amounts for biotin and so the supply must be replenished through the daily dietary intake. Once digested, biotin has an activity duration of about 14-18 hours on the body before its effectiveness is reduced. The Greek word for life “bios” gives the vitamin called biotin its name. Research has still to discover all the functional roles play by this vitamin in the human body, this is besides the fact that biotin's essential role in many bio-chemical actions in the human body has been for over half a century. This vitamin is necessary to synthesize various fatty acids and a protein in the human body - it is also essential in the metabolism of carbohydrates from food. Biotin also additionally serves as an essential coenzyme in several enzyme reactions occurring in the human body. It is known that the thyroid and adrenal glands, the nervous system, the reproductive system, and our skin depend on an sufficient supply of this vitamin. Vitamin B7 is also needed to create fatty acids and amino acids. Biotin contributes to red blood cell synthesis and is necessary for healthy hair, skin and nails. Probably best known for its usefulness in keeping skin, hair and nails healthy, vitamin B7 is necessary for cell growth, as well as supporting the neuromuscular system. It plays a key role in amino acid, carbohydrate and fat metabolism, and it has been shown to increase glucose tolerance and reduce insulin resistance. It is important to get enough B7 during pregnancy, as it is essential to healthy embryonic development. Biotin is used for preventing and treating biotin deficiency associated with pregnancy, long-term tube feeding, malnutrition, and rapid weight loss. It is also used orally for alopecia, brittle nails, skinrash in infants (seborrheic dermatitis), diabetes, and mild depression. 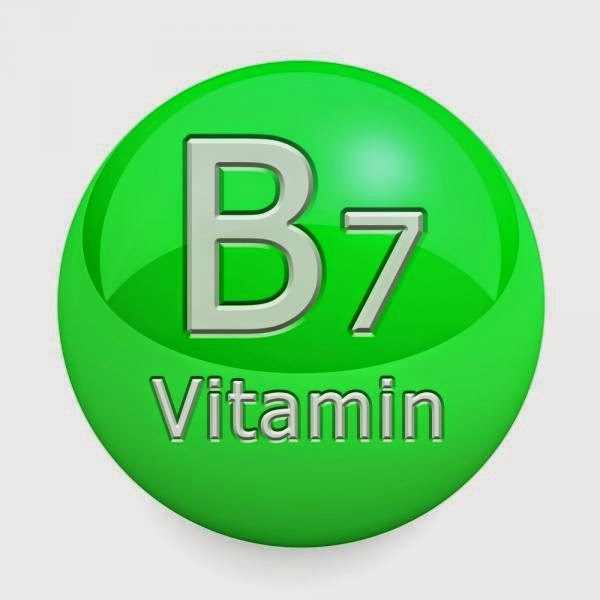 Vitamin B7 is an essential component for maintaining good health of the skin and hair. It is also beneficial for keeping nails in good condition. It helps to revitalize reduced skin color due to pollution and bad health. 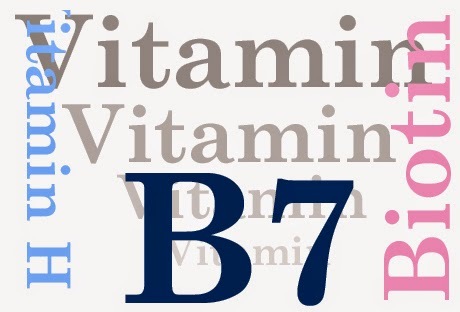 This is why a person that experiences dry scalp or hair loss might be suffering from a deficiency of Vitamin B7 in their diet. Vitamin B7 is helpful for ensuring the proper functioning of the heart by relieving it from most crucial problems. It helps in reducing the level of cholesterol in the human body, which is a major cause of conditions like atherosclerosis, heart attacks, and strokes. Adding to the already long list, Vitamin B7 is also helpful in treating a number of diseases like Parkinson’s disease, Rett syndrome and vaginal candidiasis. Finally, it is a beneficial vitamin for the treatment of certain serious conditions like Crohn’s disease, and peripheral neuropathy. A wide variety of supplemental forms of biotin are available in the market. These range in doses from a few micrograms to several hundred micrograms per dose. The liver and all other organ meats make for the best dietary sources of biotin; other good sources are the yolk of eggs, peanuts, filberts and mushrooms, fruits like bananas, plants like soy and cauliflower. Biotin is also found in good quantities in all kinds of whole grains commonly seen in the diet. Most of the biotin is eliminated during the processing and refining of cereals and grains - including white rice and flour, as fortification is commonly left undone, the level of biotin in these foods may be very low. The proper metabolization of the vitamin can be severely affected by certain very rare and inborn diseases - this leads to a rapid depletion of the stores of biotin in the body. Even in individuals who consume a diet very low in this B vitamin, the presence of a dietary deficiency of biotin is quite rare. A biotin deficiency can nonetheless develop in the body if someone eats large amounts of raw egg whites as a part of the diet - this is because, the protein avidin found in the raw egg white inhibits the proper absorption of biotin from the gut. This problem does not occur with cooked eggs. The synthesis of biotin in the intestines can also be adversely affected by the long term use of antibiotic drugs; this increases the risk of deficiency symptoms developing in the person. Vitamin B7 deficiency is extremely rare. This is because vitamin B is widely available in foods and is produced by bacteria in the intestine. Vitamin B7 deficiency can be caused be eating raw egg whites over many years, as raw egg white contains a protein called avidin, which binds to vitamin B7. High consumptions of raw egg whites should therefore be avoided. Evidence from clinical research shows that quite large numbers of individuals do possess very low levels of biotin in the blood at any one time. Such people include elderly individuals, all athletes and sportsmen, women in a term of pregnancy, long term alcoholics as well as people affected by achlorhydria - this is the complete absence of hydrochloric acid in the stomach of the person. The biotin levels in the blood of pregnant women, for example, begins at far lower levels compared to other adults, the levels of this vitamin keep on decreasing as the term of pregnancy progresses. At the same time, it is difficult to accurately measure the biotin found in the mother's milk after the birth of a baby for at least four days-the levels become higher after this period has elapsed. The levels of biotin in the blood than varies from one individual to the other. Lower than normal levels of biotin are also normally observed in individuals affected by liver disease. The level of biotin in the blood plasma also tends to drop below normal levels in children who have suffered from burns and scald injuries. The use of drugs like antibiotics can bring on a deficiency of biotin in the body. Biotin is normally absorbed in the bloodstream and many clinical researchers are of the opinion that the bacteria that are usually found in the intestines can synthesize biotin and make it available for absorption. These beneficial bacteria may be eliminated by long use of antibiotics, thus shutting off a potentially vital supply of biotin to the body. People with genetic disorders, such as biotinidase deficiency, multiple carboxylase deficiency and holocarboxylase synthetase deficiency are also susceptible to vitamin B7 deficiency. What are the effects of cooking on Vitamin Vitamin B7 / H ( Biotin )? Vitamin B7 is not particularly susceptible to loss during cooking. What happens if I take too much Vitamin Vitamin B7 / H ( Biotin )? Vitamin B7 is a water-soluble vitamin, which means that any excess is excreted in the urine and faeces. Symptoms of vitamin B7 overdose include an increased urge to urinate, abnormal sweating frequency; and rapid nail and hair growth. A condition called eosinophilic pleuropericardial effusion may result when excess vitamin B7 is ingested along with vitamin B5. No toxicity has been associated with the use of high doses of biotin, and normally excess biotin is excreted in the urine. There are no known side effects. Biotin is well tolerated when used at recommended dosages. It is POSSIBLY SAFE when injected into the muscles and used appropriately. The vitamin biotin works well with some of the other B vitamins, including the folic acid, the vitamin B5 or pantothenic acid as well as the vitamin B12 or cobalamin. The need for people using supplements of biotin to also supplement with these vitamins is however, not supported by any solid evidence. Biotin supplements have also been reported to lessen symptoms of pantothenic acid or zinc deficiency, even though individuals who are affected by these deficiencies must make sure to supplement with the nutrients that are found at low levels in the body. Though very little is known about the real significance of these interactions, researchers think that the vitamin biotin and alpha lipoic acid could compete with each other in the body for the absorption or uptake into cells - the nature of such chemical interactions are still to be investigated. Be sure not to consume raw egg whites on a regular basis, as this can cause a deficiency in B7.